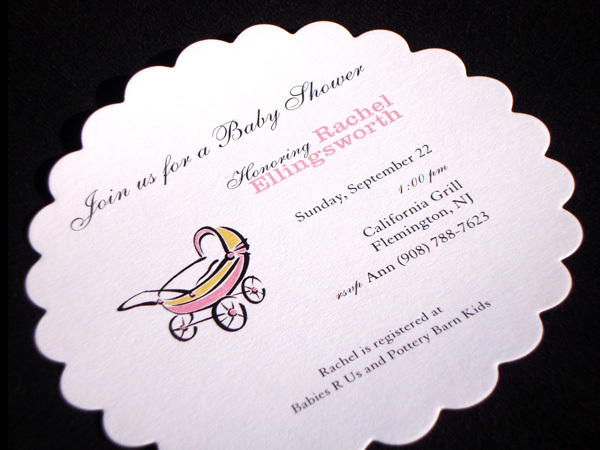 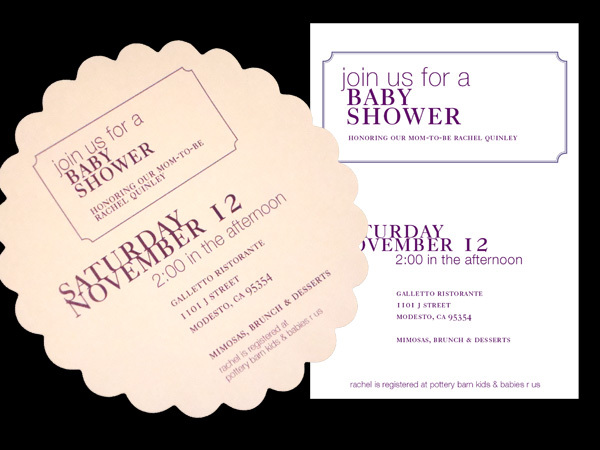 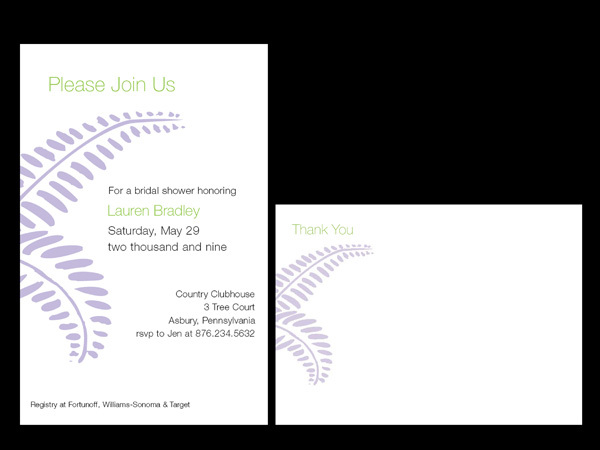 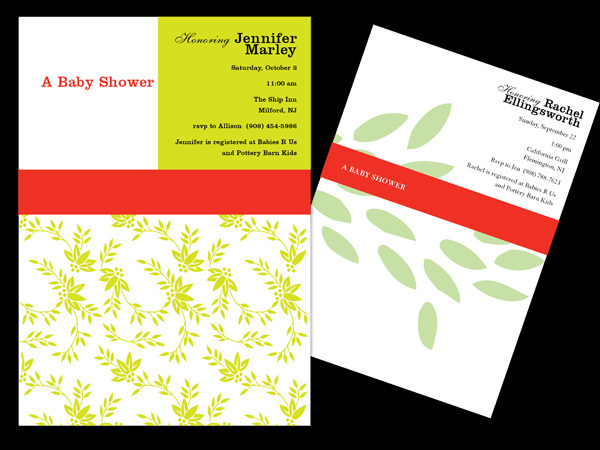 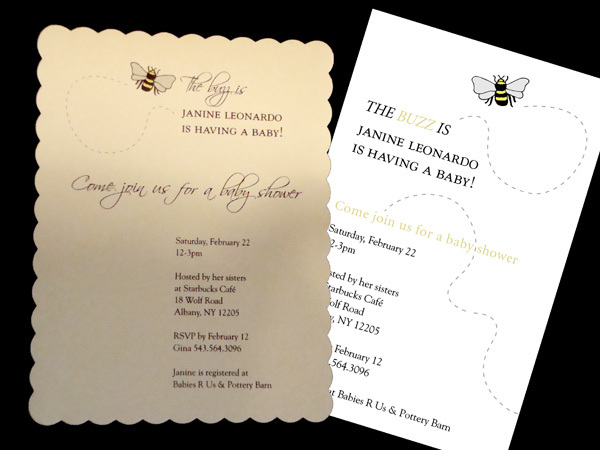 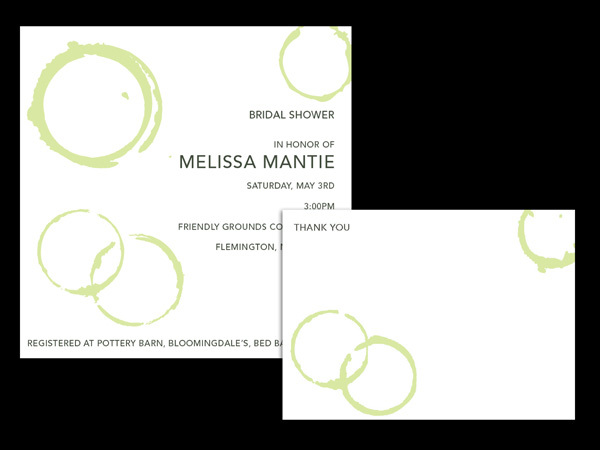 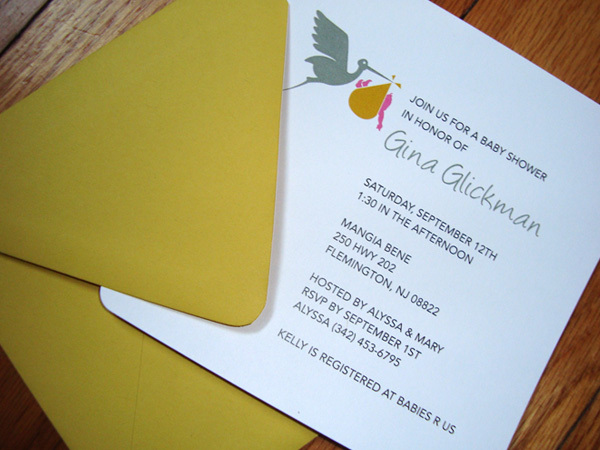 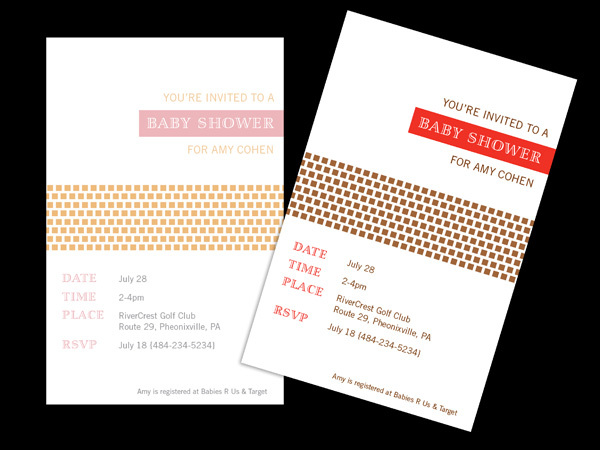 Pregnancy is an extra special time for the mother-to-be so celebrate with our collection of shower invitations. 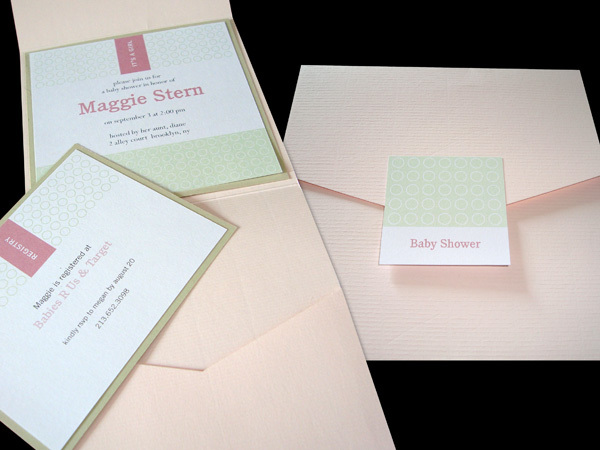 Colors can be customized to match the gender of the baby or the favorite color or style of the mom-to-be. 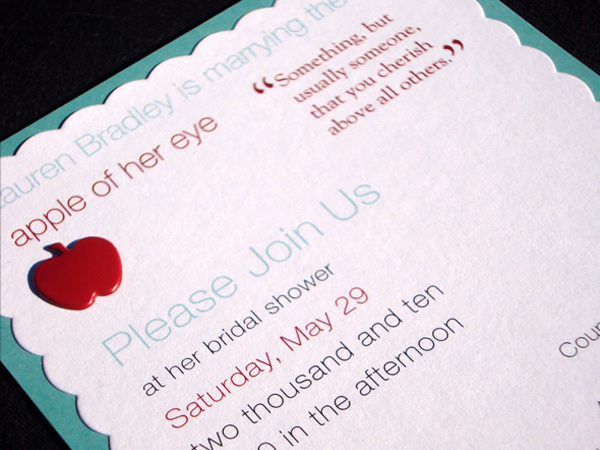 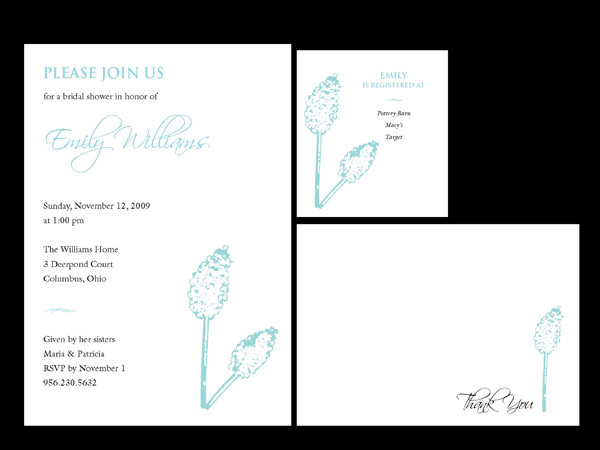 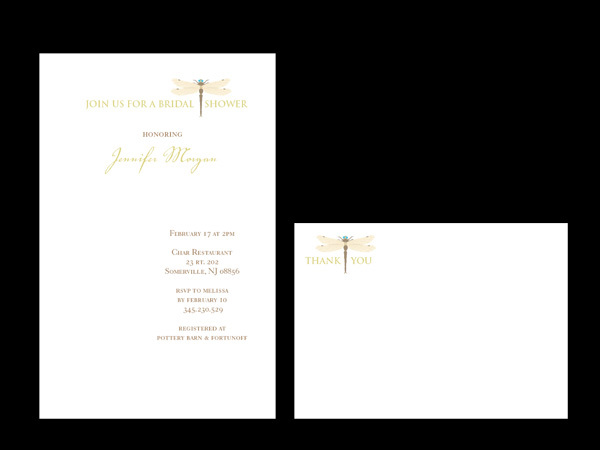 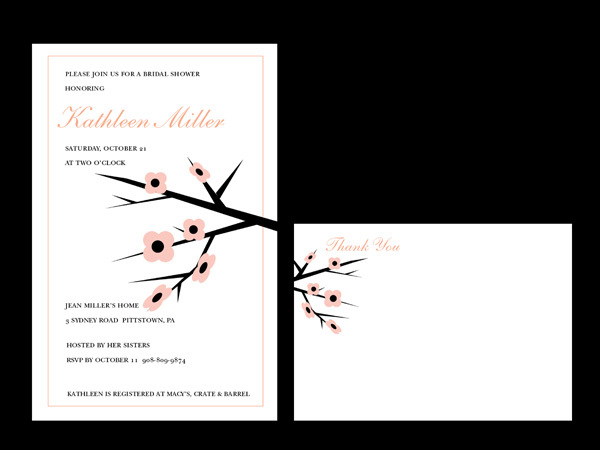 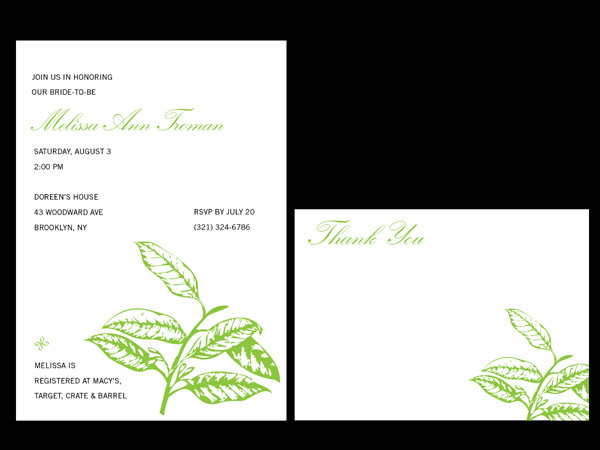 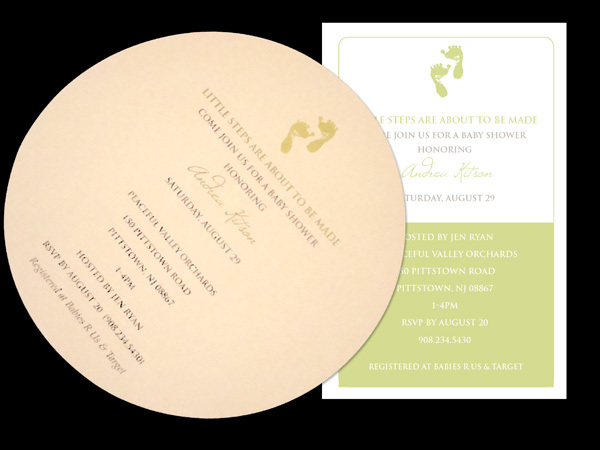 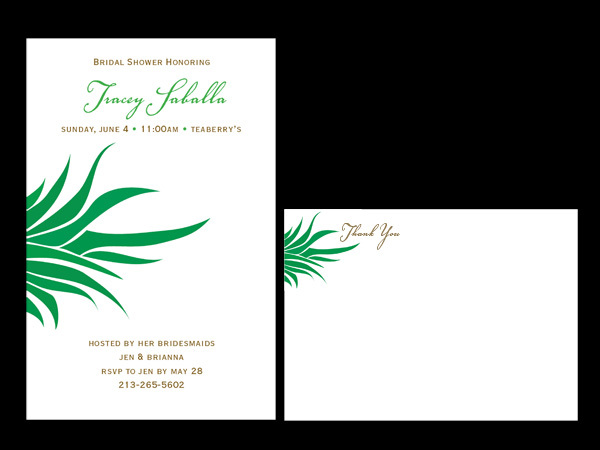 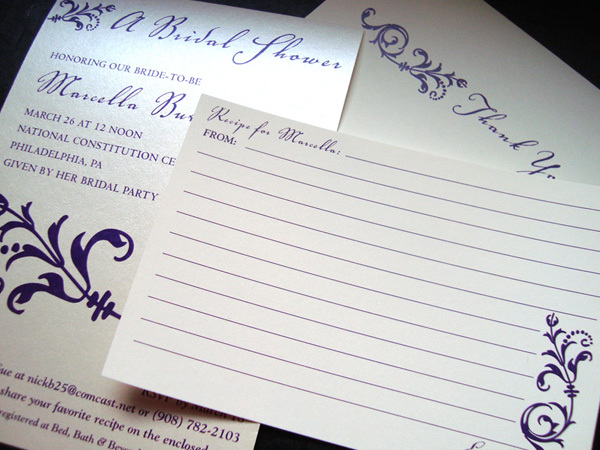 Make that bride feel special with an invitation that reflects her taste and style. 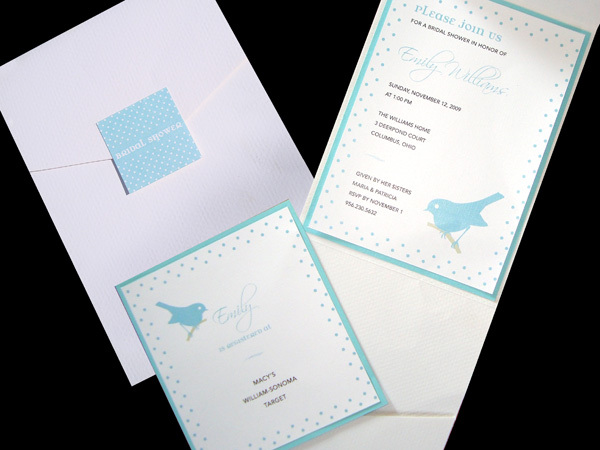 Choose from our selection of chic and contemporary to simple and elegant. 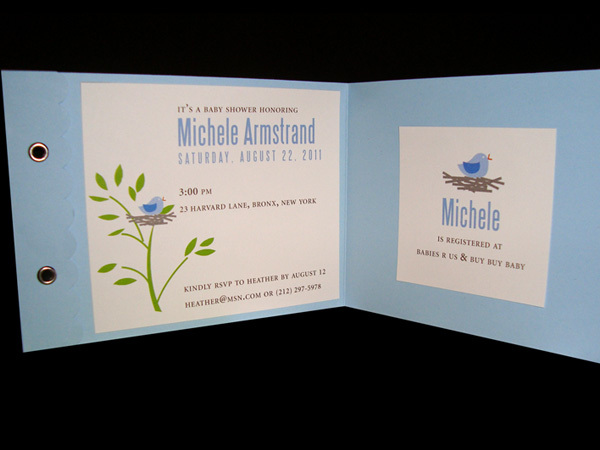 Enclosed in a Pocketfold which contains registry card and/or direction card stored neatly in a side pocket. 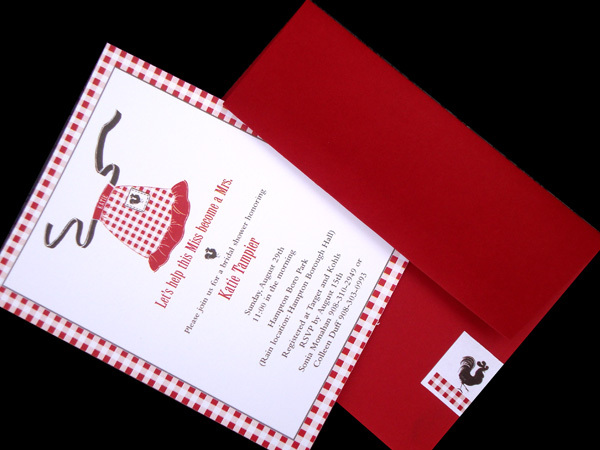 Enclosed in a Pouchette which contains registry card and/or direction card.